TDR Belt Tensioner? - Miata Turbo Forum - Boost cars, acquire cats. Anyone had experience with the Track Dog Racing tensioners? I was advised it would be a good idea to get one when I upgrade the blower pulley. Great upgrade over the stock JRSC idler setup. Much easier to install and tension belts. Yes, I agree, saves tons of time readjusting the belt...I think a must have item. Adjust your belt this afternoon and let us know if you think the JR system deserves an upgrade, lol. Well, I talked to Gary at TDR today. It looks like my options are limited. I can't run the TDR tensioner because I don't have factory PS. 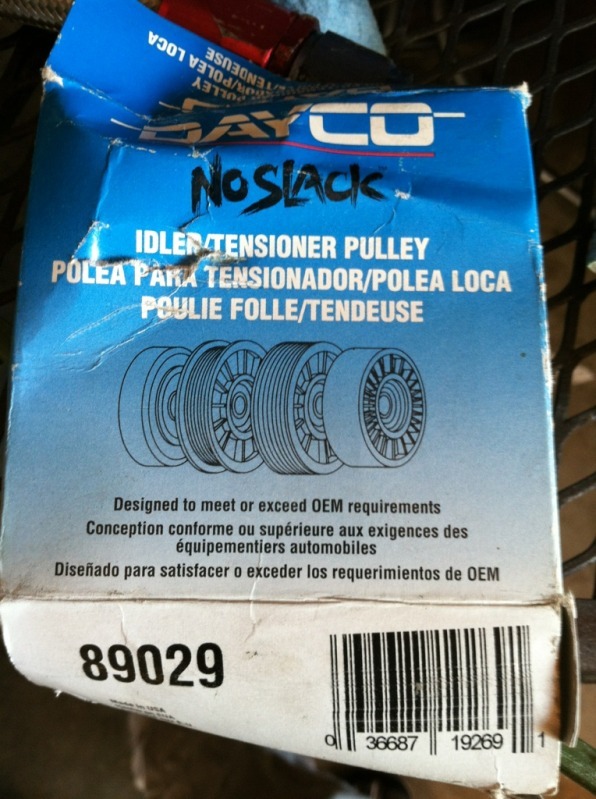 I can't change the nose pulley either because I have the older cone shaped one. My only option is a crank overlay. I've got an upgraded tensioner with no PS. I did ended up adding an extra idler pulley to the setup to improve the belt routing, and get the belt tighter though. You have any pics of your setup? I've been also trying to figure a way to delete the AC. Gary said to just get a smaller belt, but with the way it's setup it would hit itself without an extra idler where the AC compressor is. 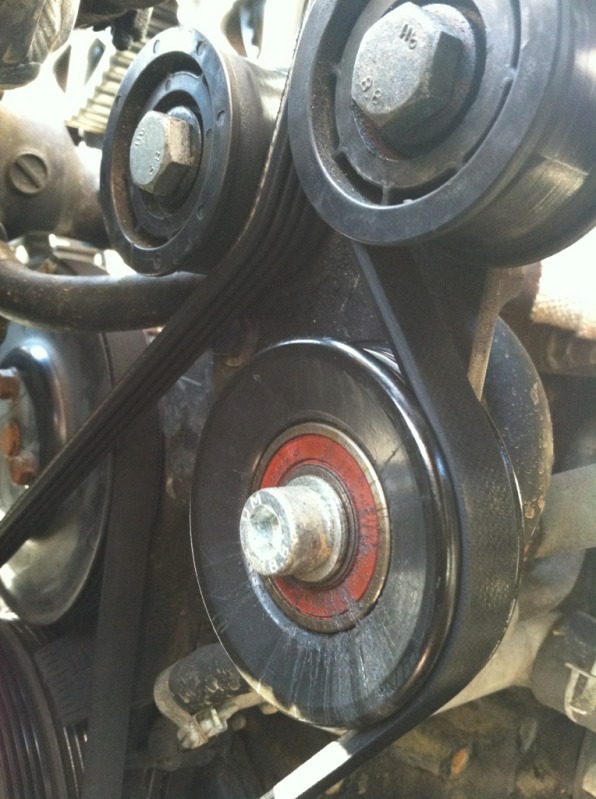 That was my problem, I couldn't get a belt tight enough without the tensioner pushing the belt together. I tried everything I could think of. Here's a couple quickie i-phone pics to give you an idea. That pulley with the allen head bolt is my added idler. I just got a random 4 rib idler pulley from advanced auto and made a little spacer bushing thing on the lathe and through bolted it to an empty hole in the support plate for the S/C. I don't have either PS or AC, and I have a crank overlay. If you are interested, I can make another spacer and send you the part number for the pulley, but I only have access to the lathe for another month or so. Hope that helps. get a shorter belt and you will not have to tighten it as much. Well, after tightening the belt with the current setup, it seems to be holding fine after 1k miles. I may just keep this setup for awhile, but with the A/C removed and an extra idler added to get more contact surface on the blower pulley. Baron340, would you care to share the part number on that pulley you used? Well for posterity's sake here is that pulley I used. Thank you sir! It's much appreciated. I think I'm going to try to tackle the A/C delete over the holiday break along with my intercooler install. I thought we established how much you're going to miss that AC in Nashville in June, lol? They're Miata timing belt tensioner rollers. I have a lathe....you should send me a couple of pics with mic measurement and i could try to make them. 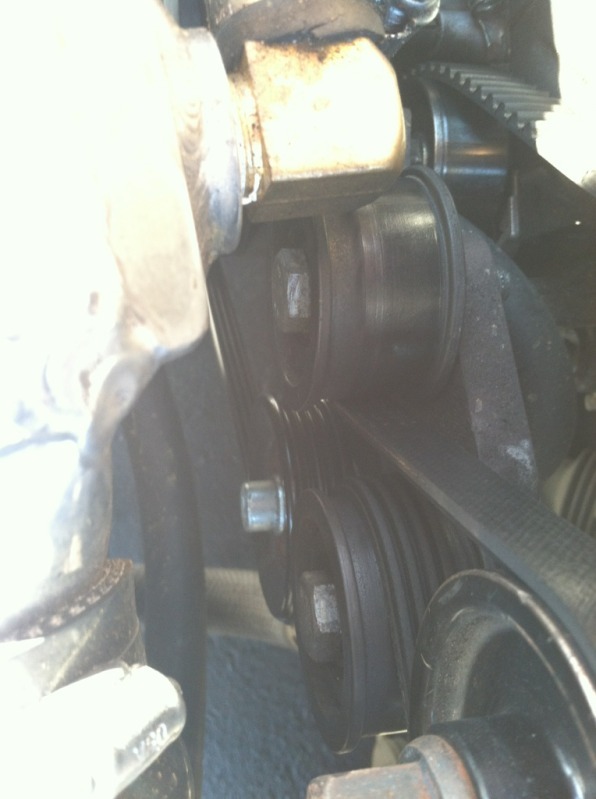 Quick Reply: TDR Belt Tensioner?